The much awaited 2019 Kumbh Mela will begin on January 15 on the festival Makar Sankranti which will be the first bathing day of the Mela. Mahashivratri on March 4 will be embraced as last bathing day. For Kumbh Mela, a new temporary city has been established along Prayagraj, which are approximately 250-km long roads and 22 pontoon bridges as well. This is the largest temporary city that is constructed in the world. 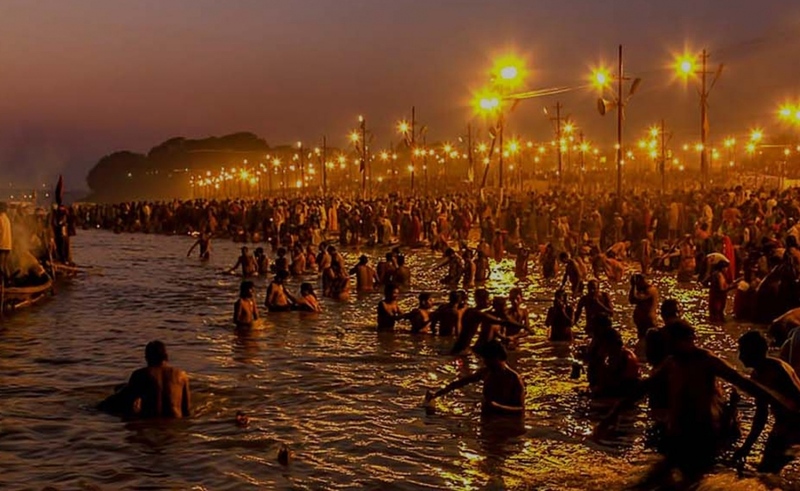 More than 40,000 LED bulbs have been equipped to lighten up the Kumbh Mela, which appears as UNESCO in the list of Intangible Cultural Heritage of Humanity. There are two Control and Command Centres under the budget of about Rs 247 crore in Prayagraj Allahabad. Of both these, one Control and Command Centre is worth Rs 116 crore has been finished and made functional. Kumbh Mela will also view the use of artificial intelligence for huge crowd management with more efficiency for the first time this year. Artificial Intelligence will be exercised by the Integrated Command and Control Centre of the police wherein the security personnel can watch the visuals of large crowd movement. They can also monitor anything which is suspicious. In addition to the establishing of rescue operations, UP police have hired quad bikes for quick movement on the sand of the Sangam ghat. According to UP government officials, it is for the first time in the history of Kumbh Mela that devotees will be visiting in the city through land, air and water all the three routes. The Indian Railways will be providing the facility of 800 special trains to Prayagraj. Air India will also run new flights to the Kumbh Mela. Uttar Pradesh State Tourism Development Corporation (UPSTDC) has released the launch of a helicopter service known as ‘joyride’ for an ultimate tour of Kumbh 2019. This helicopter service will commence from January 17 and would continue till February. 10 stalls giving the pilgrims with virtual reality (VR) experience have been created at the major locations in the Kumbh Mela area. At these stalls, everyone can watch the Kumbh 2019 videos and experience as if the events in reality. An SMS campaign has been implemented by the Prayagraj Mela Authority for the better convenience of pilgrims visiting for Kumbh 2019. There are around 4000 hotspots that are being placed across the huge area for facilitating high-speed Wi-Fi for all visitors.